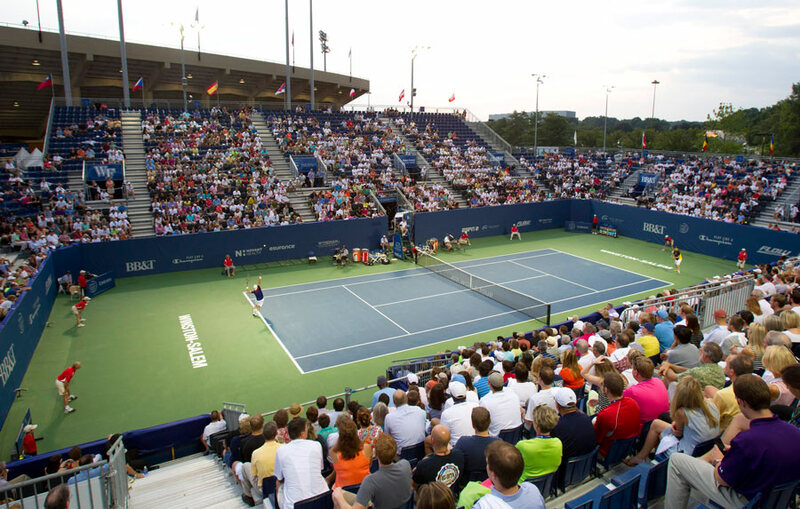 The 2014 Emirates Airline US Open Series kicked off on Monday with the ATP event, the BB&T Atlanta Open . The series consists of 7 tournaments that span the two weeks leading up to the Australian Open. All 8 venues are surfaced with one of California Sports Surfaces’ premier tennis court systems in the trademark US Open Blue and Green*. Below the arenas and contenders are broken down as we prepare for the final slam of the season! Venue: Atlantic Station. Temporary courts are constructed in Midtown Atlanta. Center court holds 4,000. Women’s Field: Many of the top Women opted to play in Cali this week however Sloane Stephens, Ekaterina Makarova, Lucie Safarova, and defending champ Magdaléna Rybáriková are all on board for a victory in the capitol. Player Field: Dominika Cibulkova returns to fight for back to back titles but must workt her way through a field of 9 top twenty players to get there including number 1 Serena Williams. Fun Fact: This is one of the most competitive fields Stanford has ever seen. Tournament: The first of two Masters in the series draws a competitive crowd from both the WTA and ATP tours. Women’s Field: Canadian darling Eugenie Bouchard fights for her first hard court title against a strong field of many of her fellow top ten players. Men’s Field: The top 44 men have signed on to play in Toronto however anything can happen in the week leading up to the event. Rafael Nadal looks to reinstate his dominance on the hard court with back to back wins. Fun Fact: Uniprix Stadium was built out of the existing Montreal Expos’ baseball stadium. UPDATE 7/30 – Nadal has pulled out of both Toronto and Cincinnati citing a right wrist injury. Field Of Play: Top 40 players from both tours have signed on as of now but seeing as it is the second of the two masters there is sure to be withdrawals before play begins. On the women’s side this was one of the few tournaments Serena didn’t win last year and fell to then number two, Victoria Azarenka. Now ranked 10th Azarenka will fight to defend her title and climb the ranks in preparation for the US Open. Nadal will look to repeat and reassert his hard court dominance after capturing only one hard court title this year. Venue: Lindner Family Tennis Center. Four show courts combine for over 22,000 seats. Fun Fact: The tournament is celebrating 115 years this summer. Field Of Play: 2014 Wimbledon doubles champs, Jack Sock and Vasek Pospisil, join John Isner, Tommy Robredo, and Sam Querrey. 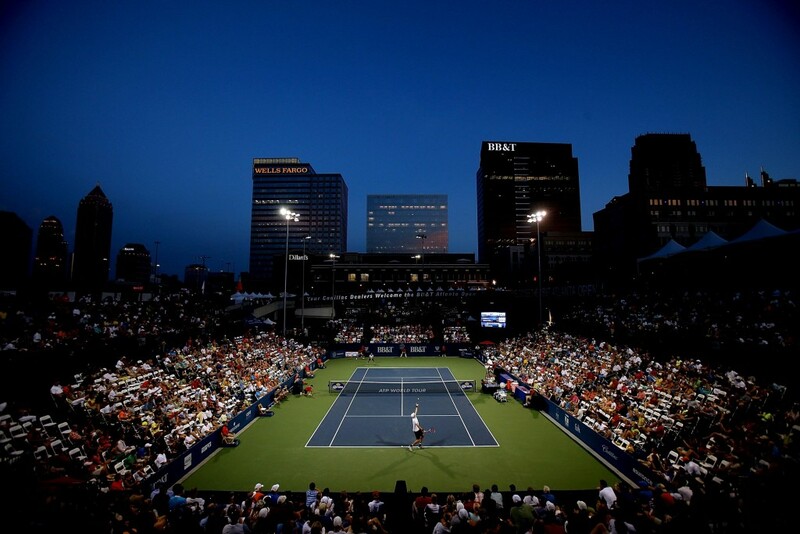 Fun Fact: The Winston-Salem Open was previously held in Connecticut along with the WTA’s tournament until it moved in 2011. Player Field: In the week preceding the US Open 3 of the top ten women have committed to play including Petra Kvitova, Genie Bouchard, and Simona Halep. Rising Stars Coco Vandeweghe and Garbine Muguruza also join the competitive draw. Venue: 30 hard courts make up the Connecticut Tennis Center at Yale. Center court has a 15,000 spectator capacity. 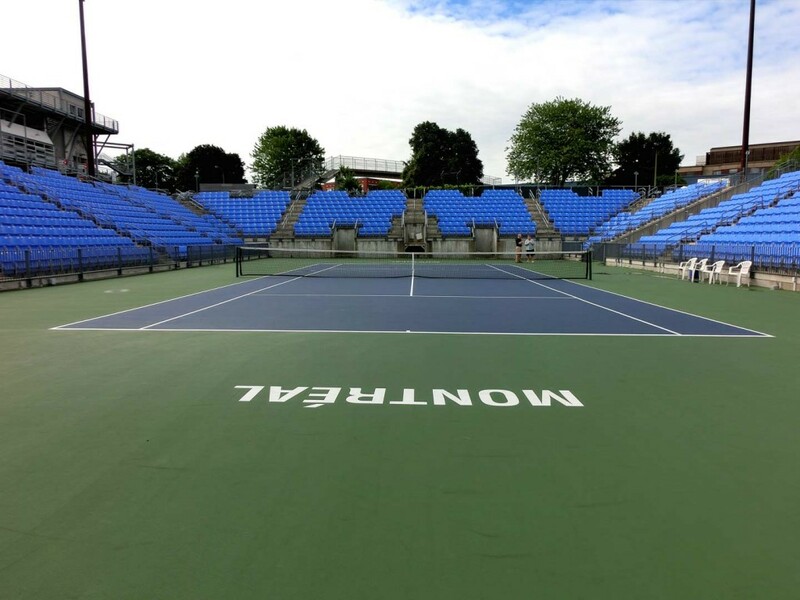 Fun Fact: The name changed this year from the New Haven Open to the Connecticut Open. To learn more about the US Open Series visit their website at www.emiratesusopenseries.com. *US Open Blue and Green are trademarks of the USTA. 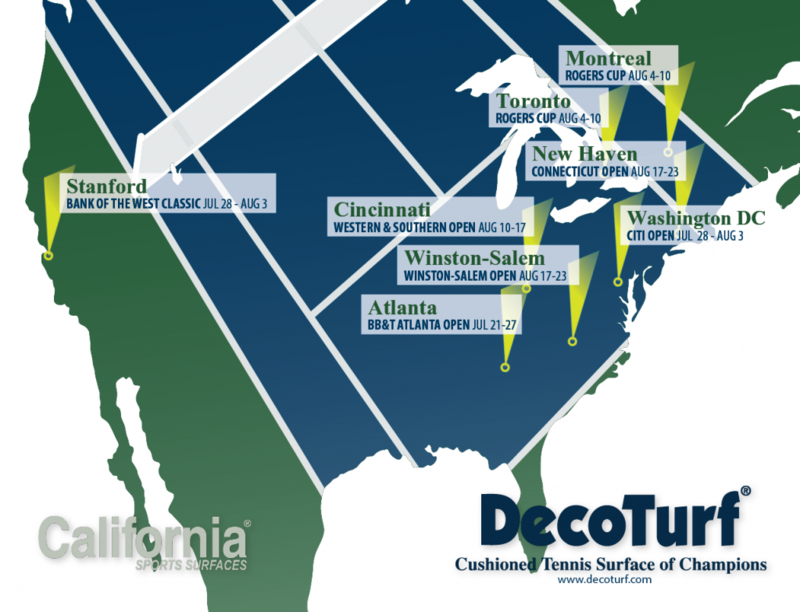 This entry was posted in California Sports Surfaces, DecoTurf®, Plexipave® and tagged Bank of the West Classic, California Sports Surfaces, DecoTurf, Emirates Airline, John Isner, PlexiPave, Rogers Cup, US Open, US Open Series, Western and Southern Open.